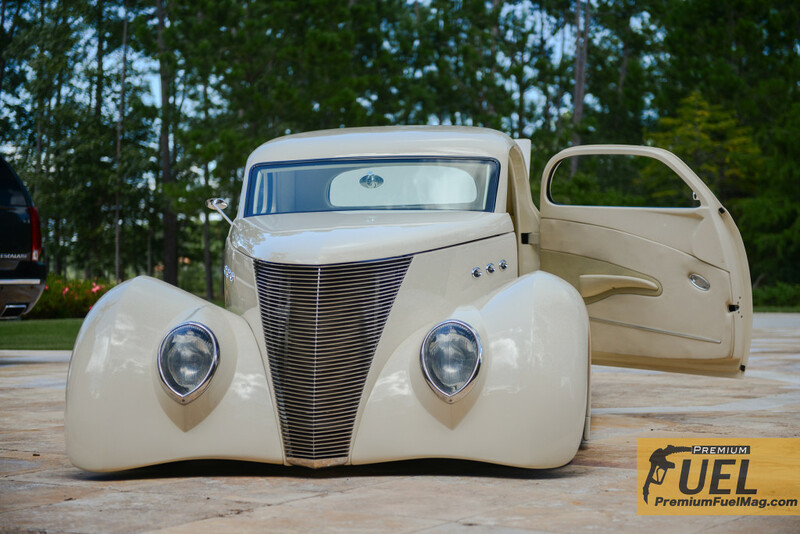 Gary’s custom ’34 Ford hot rod was built for the Mecum auto auction where it was purchased. At the heart of this old ford is a chevy 350ci crate motor putting power to the massive rear wheels through a th700r4 transmission. 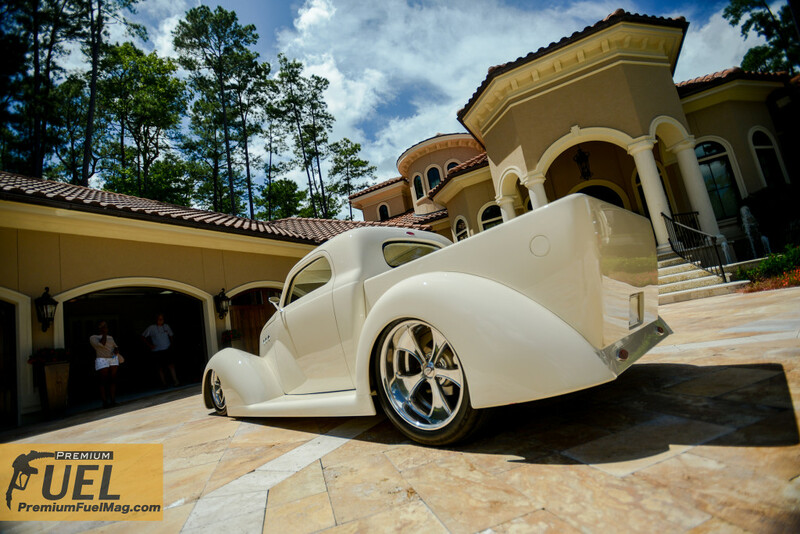 Gary says that owning a hot rod is more of a lifestyle. “You can’t expect to just hop in these cars and go, they always need something”, and Gary isn’t afraid to turn a wrench either. When i arrived to photograph the car, Gary had it lifted in the garage up to replace the actuator that lifts the hood. 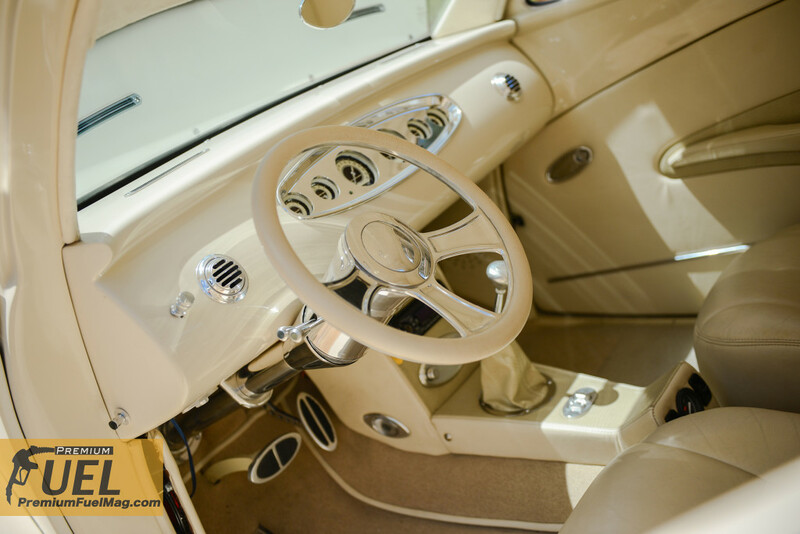 He has also had the seat’s re done in order to allow a normal sized person to fit inside the passenger compartment. Old Hot Rods tend to be small on the inside. The self-lifting coffin style hood is only one of a host of show stopping features on this ride. 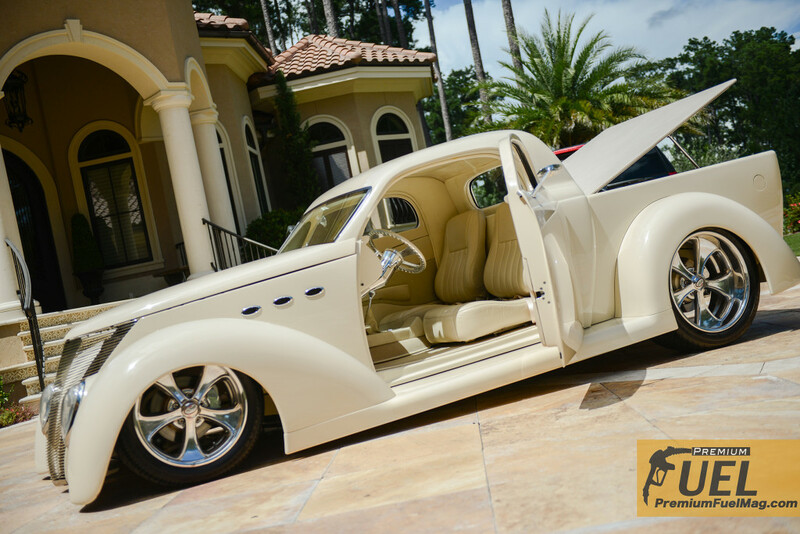 The hard leather bed cover raises its self up to reveal a wood grain cargo compartment, the doors open suicide style, and when you park it, the whole body lowers its self to the ground with the wheels tucked nicely inside the fenders. The exhaust note is extra smooth, yet still deep and powerful letting you know that it’s still packing plenty of muscle.